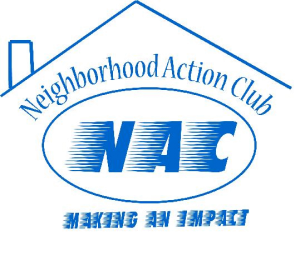 PURPOSE: “Working together as a group of local residents within a specific neighborhood to create and maintain a safe and healthy environment.”Neighborhood Action Clubs are comprised of primarily local residents including representation by one or more leaders of established community institutions. This group meets to identify problems within their neighborhood. As a group, they work together and complete a Neighborhood Needs Assessment as well as a Resource Assessment. This data is then reviewed to confirm the neighborhood problems. Throughout the year the NAC prioritizes the problems and discusses ways to remedy them. Often this results in direct service events for youth and adults, connecting their community with resources, providing educational guest speakers, classes, and workshops, and bringing in or working together to provide services to their community. 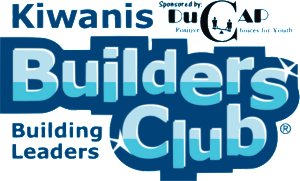 Several years ago DuCAP was introduced to the Builders Club model, a well-designed leadership & community service program designed by Kiwanis International. It was our thought to partner up with several local Kiwanis Clubs to start up and grow a Builders Club in their local community. We also give support and technical assistance to these clubs so that they can continue to expand and become self-staining clubs. MISSION: Builders Club is an international student-led organization providing its members with opportunities to perform service, build character, and develop leadership. DuCAP has been partnering up with area Kiwanis Clubs since 2010. 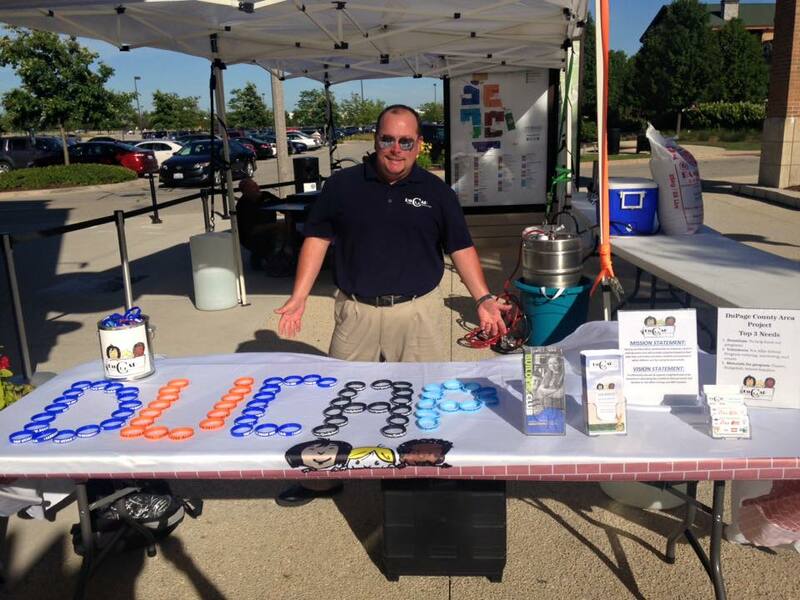 We currently are partnered up the Kiwanis Club of Central DuPage and the Kiwanis Club of Glendale Heights. We serve on an average 20 participants per location. Currently each Builders Club operates out of a local middle school. Students participate several times a month in either a planning meeting and/or service project. The cost to join Builders Club is a $5 donation which includes a t-shirt and membership pin. Currently housing 240 families, primarily from Guatemala and Mexico. A small, colorful community center that was formerly a pool hall, now serves as a space for the children to meet and play. It sits on a grassy field, which is perfect for possible expansion in the future. 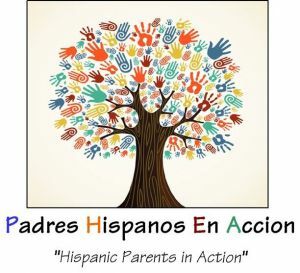 Many community members are part of the Hispanic Parents in Action and Beyond Dreams Teen Club. Our Bolingbrook Community Center location is spacious and ideal for holding events, meetings or after school activities. This is also home to DuCAP’s ICE Basketball and Leadership Academy. Property also sits on a beautiful lake in the heart of the village. In partnership with the Institute for Communities (IFC), DuCAP’s FIRE Basketball and Leadership Academy operates out of the Friendship Center in the Highpoint community. Also within walking distance is a newly formed Creative Arts Center that has future plans to create new and innovative opportunities for our local youth. The ICE/FIRE Programs provide positive opportunities, experiences, mentors, service and training on and off the court. ICE/FIRE teaches the fundamentals of competitive tournament style basketball in a fun and safe atmosphere while also engaging its team members on how to achieve success in everyday life situations. A better understanding and respect of their community through completing community service projects. Skill and knowledge to now manage their time better, problem solve and make better choices. Sharper basketball skills, commitment and drive where the opportunity was missed due to lack of funds for other training or inability to join school teams. Please contact Joe Johnson for more information at 630-226-8702. This location is heavily community service based with the added drive of developing indigenous leaders. We have partnered up with the Kiwanis Club of Glendale Heights to offer programming to better serve adults and middle schoolers. We use the Builders Club leadership model to better engage our youth and create leaders within the community. Our committee meets at the Village of Glendale Heights Police Training room. Our Wheaton location partners up with many local agencies and organizations to provide activities, programs and services within the diverse neighborhood. Our newest addition to DuCAP is the Marian Park Apartments, where our focus is building relationships and building local indigenous leaders to better serve the community’s needs. 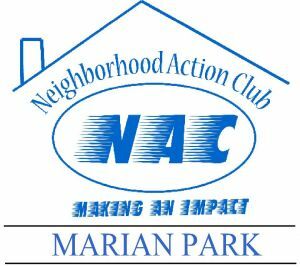 We are currently utilizing the Marian Park Resource Center to host public meetings and events.